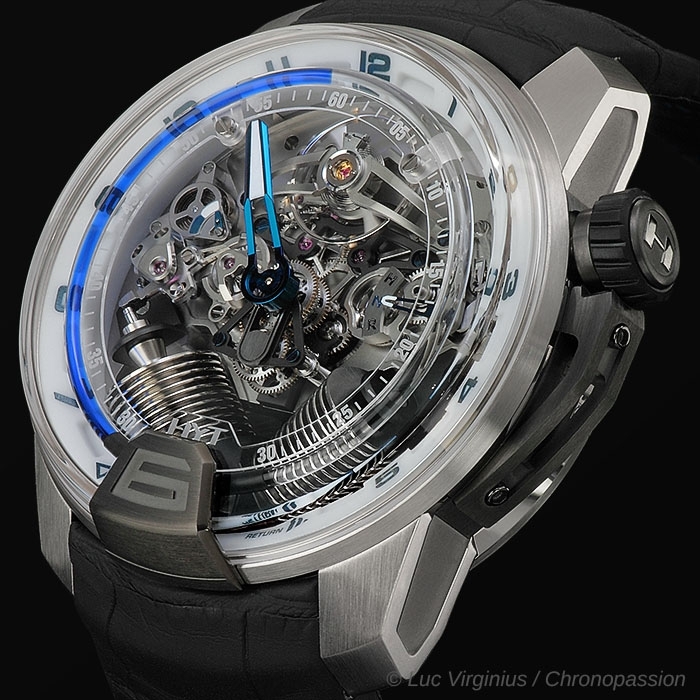 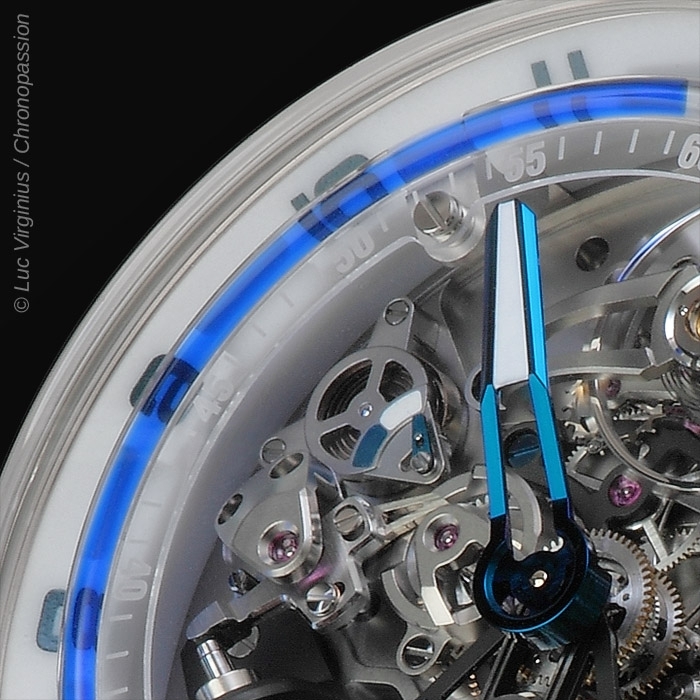 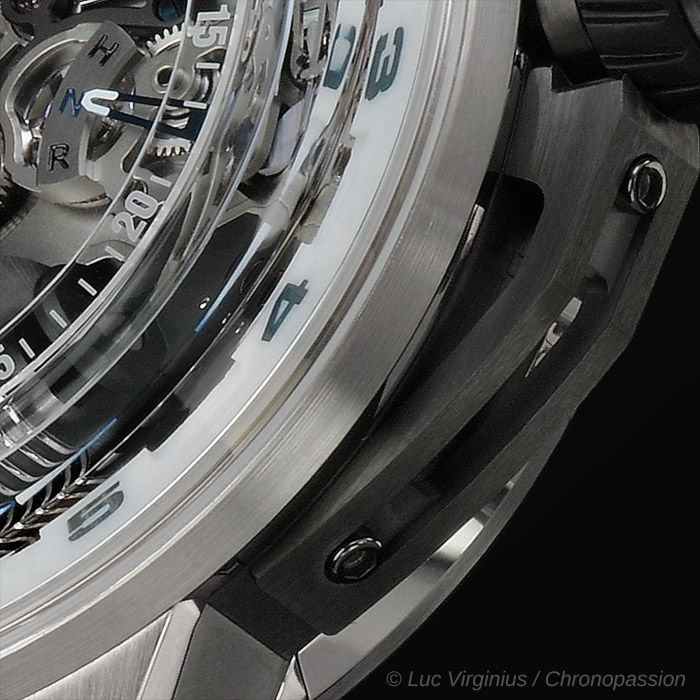 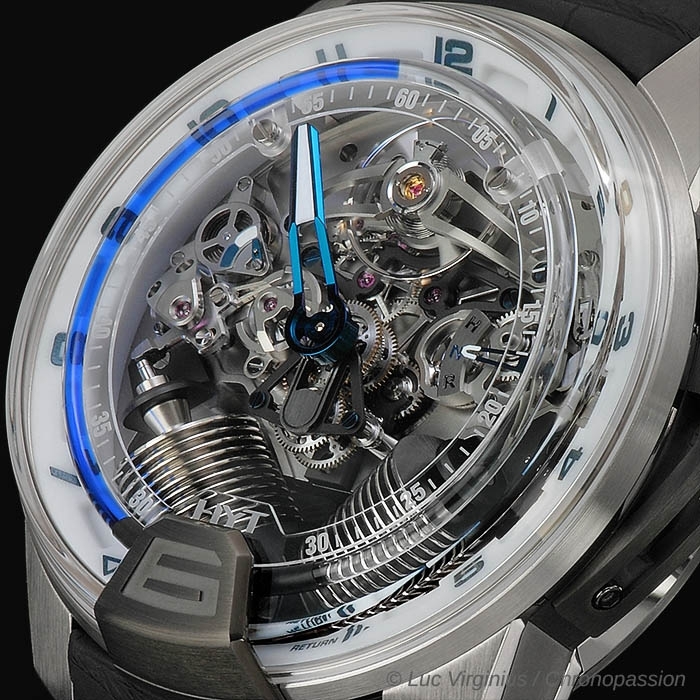 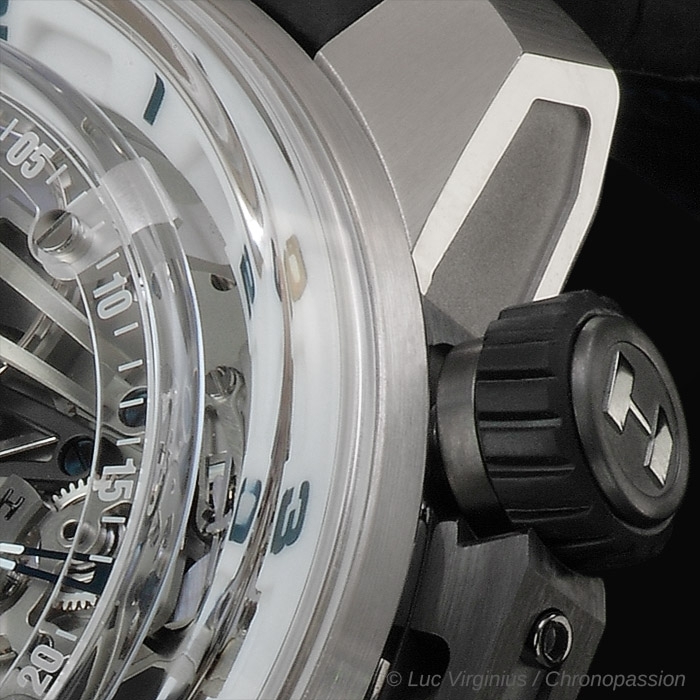 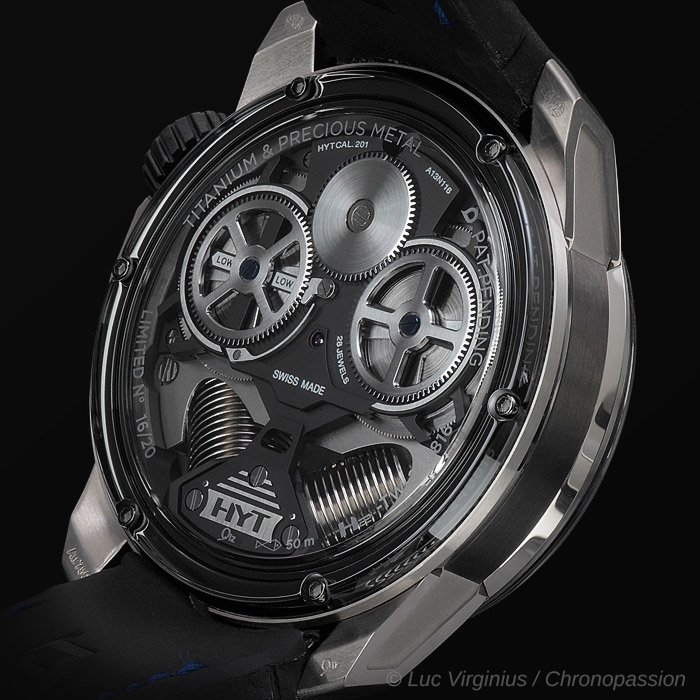 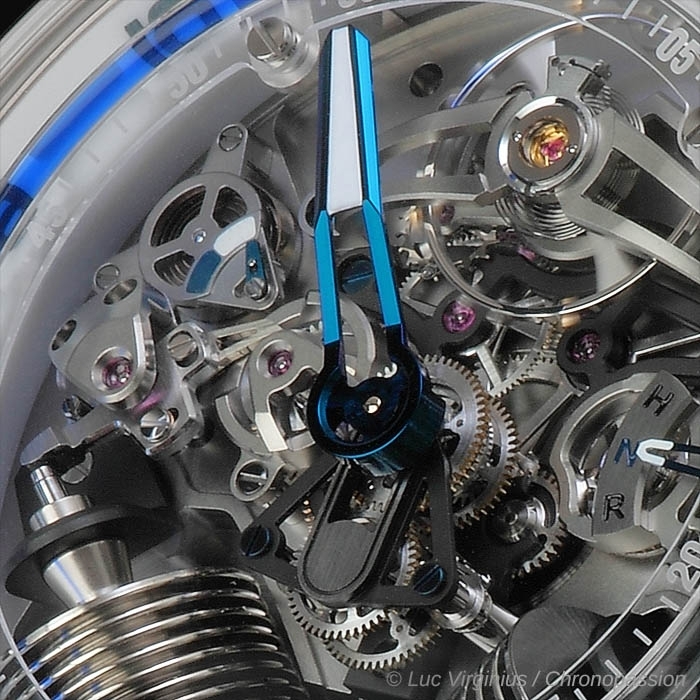 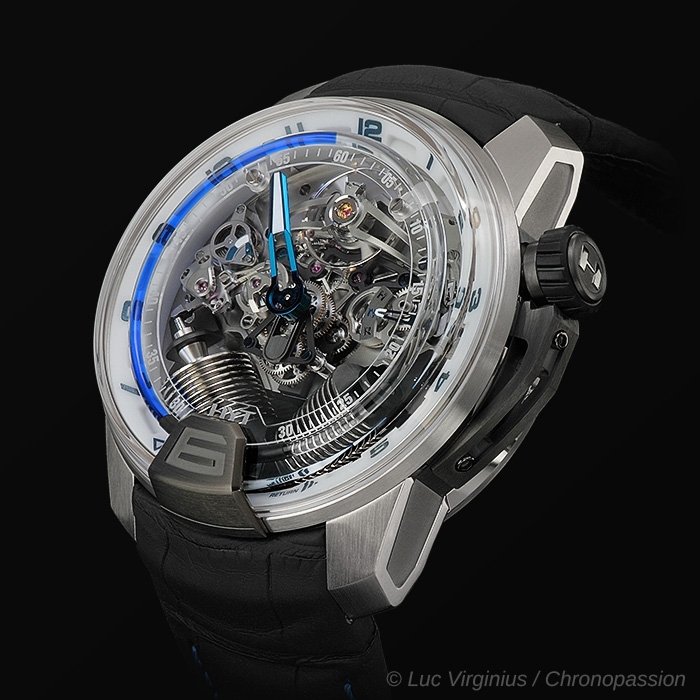 HYT | 140'000 € Tax inc.
HYT launched its second collection engineered in partnership with Audemars Piguet Renaud Papi. 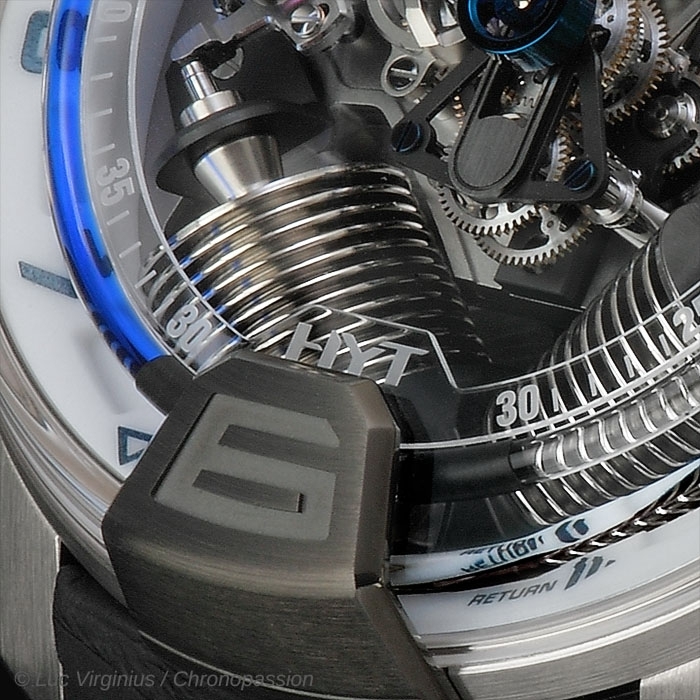 In 2014 they introduced the H2 Iceberg White Gold even more technically complex and aesthetically accomplished, while keeping the same unbelievable DNA : hydro-mechanical horology. 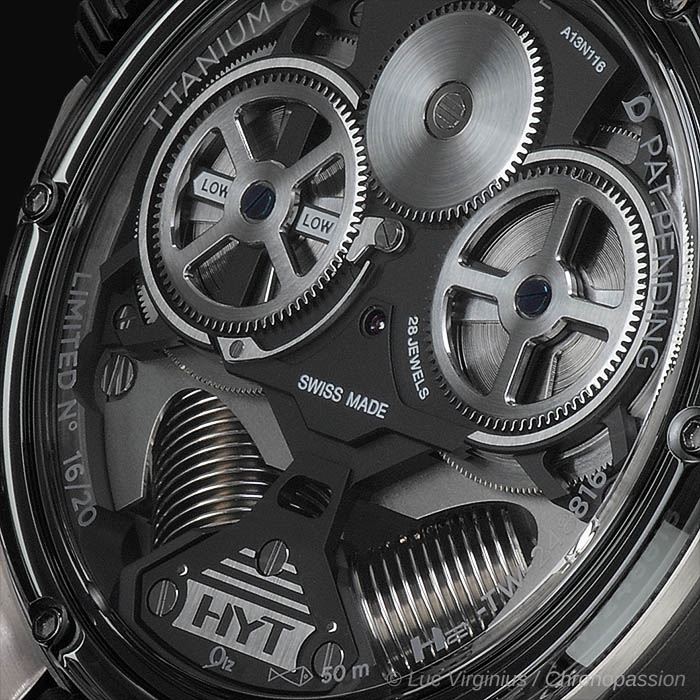 This 8-day power reserve timepiece is composed of three new functions: a thermal indicator - at 9:00 - indicating if the watch is in its optimal temperature segment; opposite the latter, a crown-position hand (H-N-R) indicates if you are either setting the time (H), winding-up the power-reserve (R), or neutral (N) when the crown is in its original position and finally at 6:00, a « déphaseur angulaire » also called jumping minute hand.